It might be a little late in the game now, but it’s still not too late to file your taxes if you haven’t already, or to start thinking about filing your taxes for next year. If you live on or near Hillsborough Street, you’re in luck because H&R Block is just a short walk away and is our featured Business of the Month. H&R Block is fairly new to the streets of Hillsborough, but they bring unique services as the only Hillsborough Street merchant solely focused on tax-preparation services. State Employee’s Credit Union (SECU) also provides tax-preparation services, but they are limited to members of SECU. As a merchant in the face of Phase II, H&R Block has seen less traffic than usual, but with tax season in full swing and April 18 quickly approaching, H&R Block has been busy helping customers file taxes and guaranteeing them the highest possible refunds. 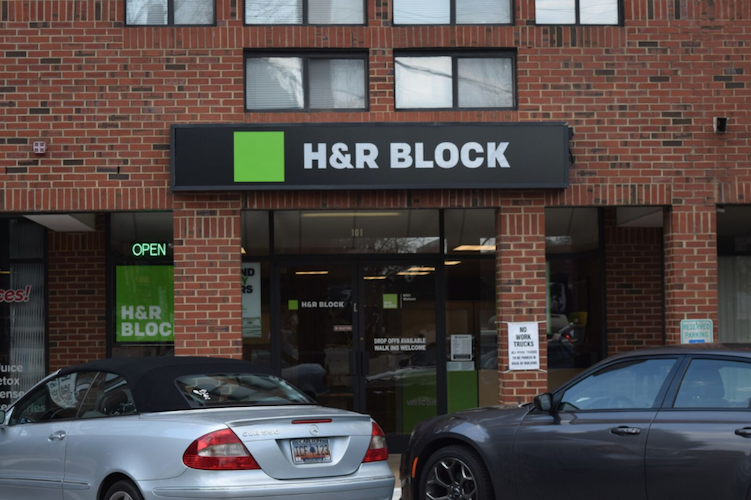 Located close to NC State University and Meredith College, H&R Block does see some student customers, especially those filing taxes for the first time, but customers are mainly community members from around the Hillsborough area. Though in walking distance of many homes, the merchant, located on the west side of Hillsborough St. right beside Pizza Hut, also has available parking. If you haven’t had time to file your taxes this year or if you want to get some advice or a headstart on next year, give some love to our local branch of H&R Block!